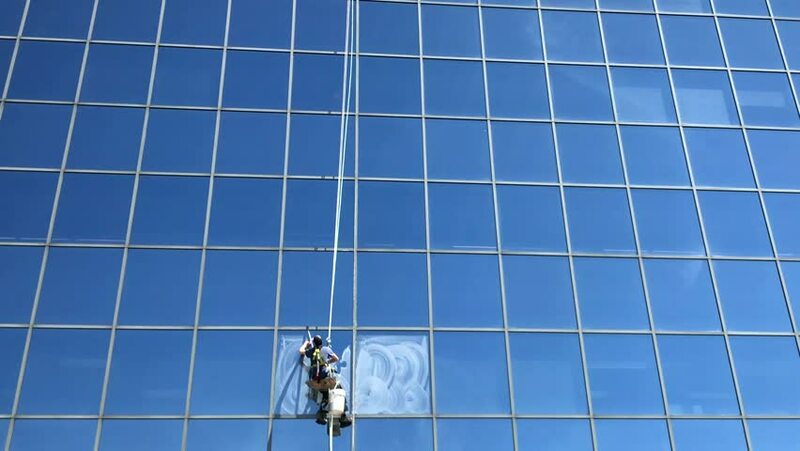 Window washer suspended high above the ground, cleaning the glass of an office tower. hd00:19Low angle view looking upwards at some of New York's skyscrapers on a bright sunny day. 4k00:14Windows of the glass town. hd00:14The Canadian flag waving in the wind.